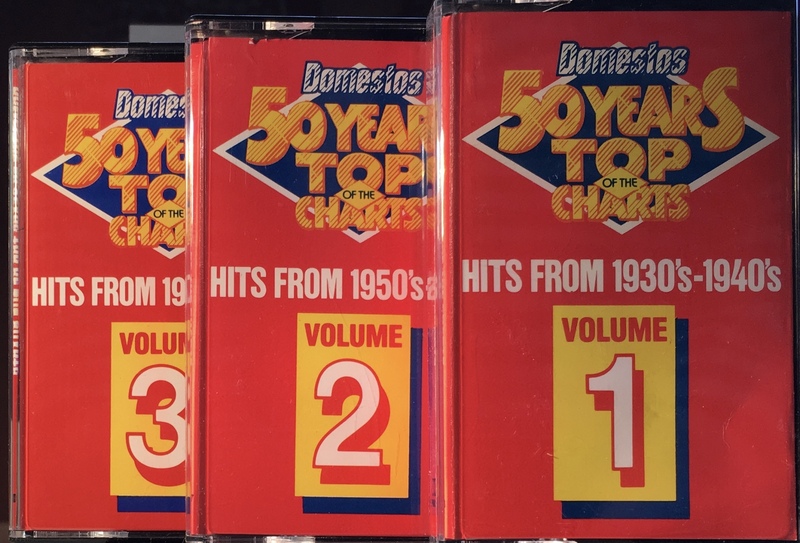 50 Years Top Of The Charts: UK; Phonogram, PSPMC 028; 1985. Lever Bros. (Unilever) promotional item celebrating ‘Domestos’ bleach . 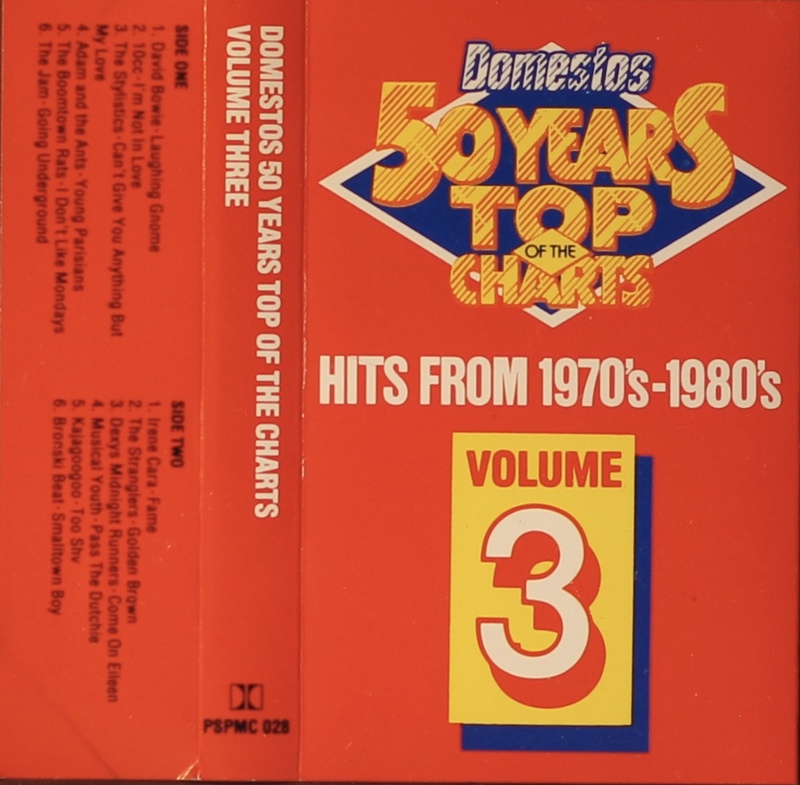 Thick glossy paper with track list on inside and rear half-panel. Given away as a three cassette set. 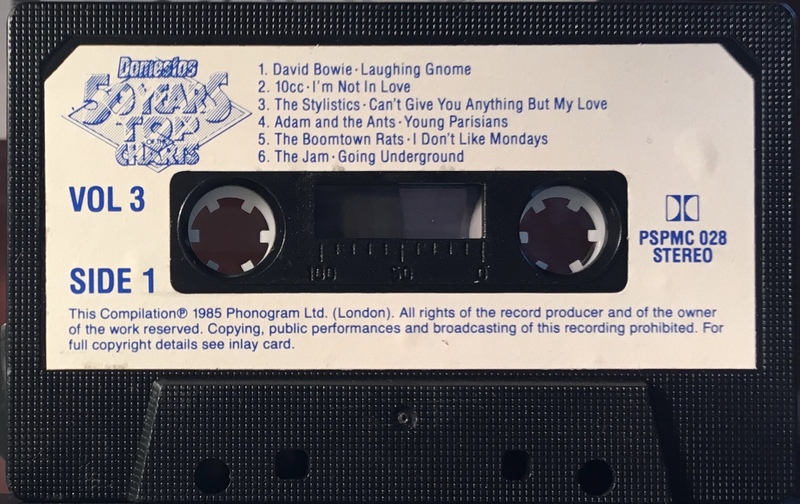 David Bowie performs on one track: ‘The Laughing Gnome’ on Side 1. Black ink printed on white label onto black shell.